A lot has been going on in my writing life this past week! 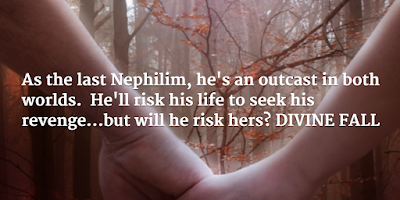 I had an Author Panel last Thursday evening at Bourne Library, as part of their Beach Buddy Book Club summer program (my Young Adult Paranormal Romance, Divine Fall, was one of their picks). Friday, a fabulous article came out in a local newspaper, with an interview about my new Romantic Suspense release, Dangerous Currents. Saturday, I did a book signing at Market Street Bookshop, and admittedly, the rainy weather resulted in a great day for me, as Mashpee Commons, where the book store is located, was mobbed with shoppers who couldn't visit the beach that day. I hope that everyone who purchased one of my books took the opportunity to put their feet up, relax, and get lost in steamy romance, secrets, and page-turning suspense! 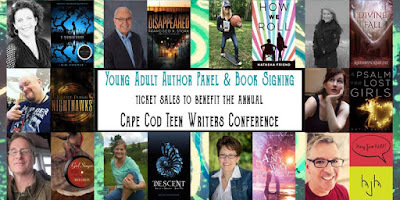 Cape Cod Teen Writers Conference is FREE! Tomorrow, I'm thrilled to be a guest instructor at the second annual Cape Cod Teen Writers Conference in Hyannis. I was part of the conference last year, and this year, it's completely sold out! I love sharing my passion with aspiring authors, and I'm going to discuss Goal, Motivation, and Conflict, as well as the hook and the inciting incident. 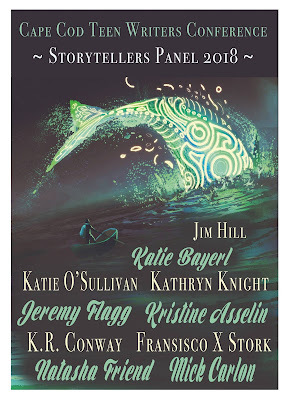 After the conference wraps up on Wednesday, I'll be back for the Author Panel. This is open to the public with a ticket purchase, and tickets sales will go toward offsetting the conference expenses, as it is offered FREE to the teens who sign up! 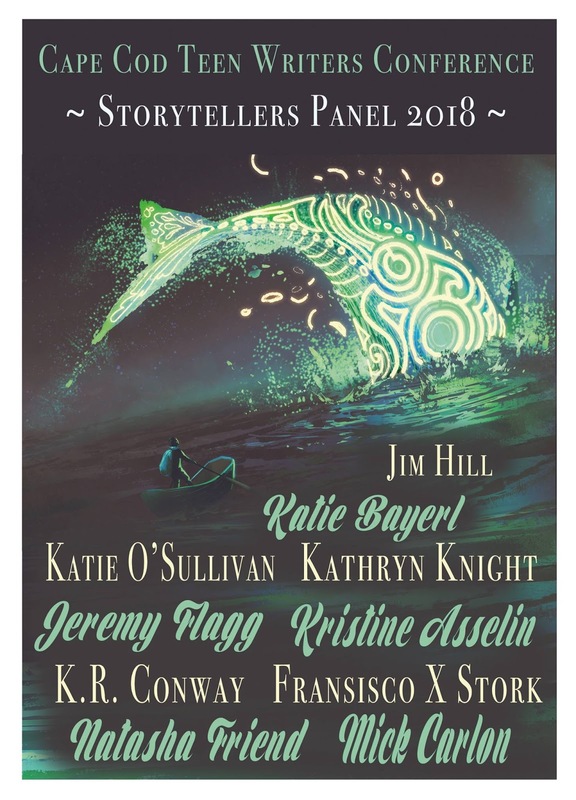 So if you're in the area and interested in chatting with a group of authors (all of us write Young Adult novels, many, like myself, also write other genres) please join us! Bring your questions on writing, publishing, etc., and find some new reads as well. Tickets can be purchased at this link: Eventbrite. The event scheduled for August 8th from 1:00 to 4:00 and will be held at the Double Tree Hotel in Hyannis, near the Cape Cod Mall. Hope to see you there! 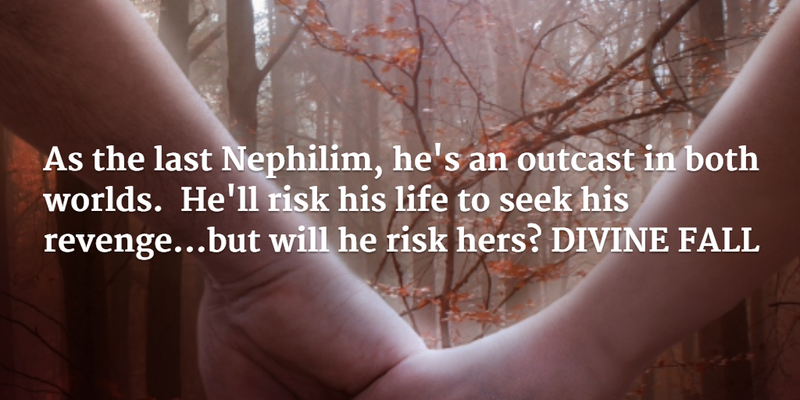 DIVINE FALL is the winner of The Romance Review's Best YA Romance 2015!